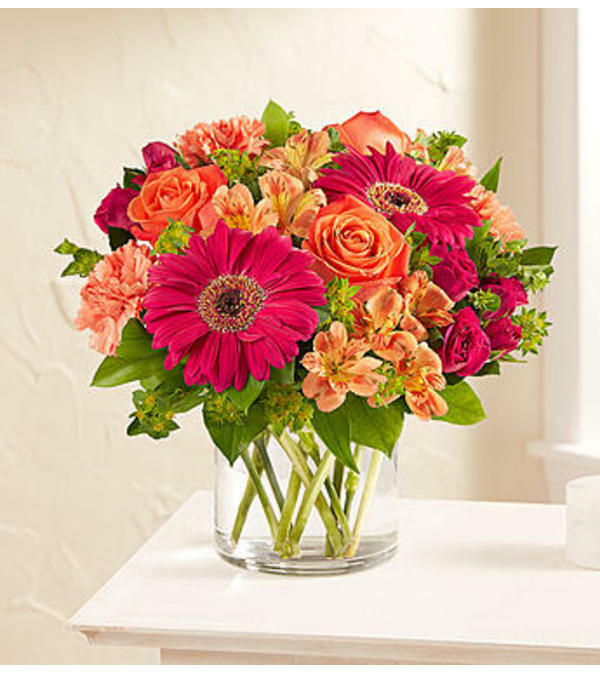 DESIGN COUNCIL EXCLUSIVE Inspired by the warm shades of the setting sun, our radiant bouquet is one you’ll be passionate about sending. 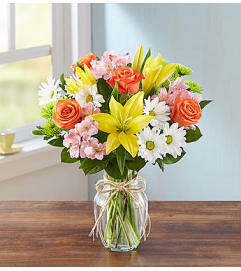 A dazzling mix of hot pink and orange blooms pop against lush greenery. 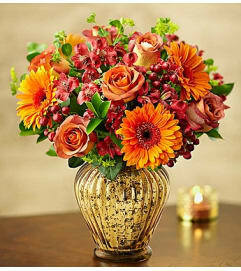 Designed by Margaret Fleegal from our shop in Fairfax, Virginia, it’s a gift guaranteed to surprise & delight.